2014. April 25 - August 31. 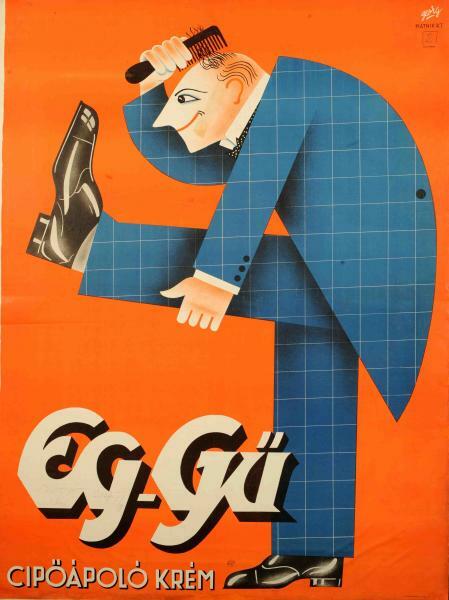 The exhibition, organized in cooperation with the National Széchényi Library, presents an overview of modern Hungarian commercial posters created in the interwar period. The exhibition the best 102 large posters of the period, supplemented by a selection of small prints and actual objects from the collection of the Museum of Applied Arts and other museums. The exhibition, which was first shown in Valencia and Seville (Spain) in 2009, is on view for the first time in Hungary. Such a large-scale selection of posters and related material from the most creative period of Hungarian commercial design was never before shown in Hungary. The chief curator of the exhibition is Katalin Bakos, whose work was helped by colleagues from the Museum of Applied Arts and the National Széchényi Library. 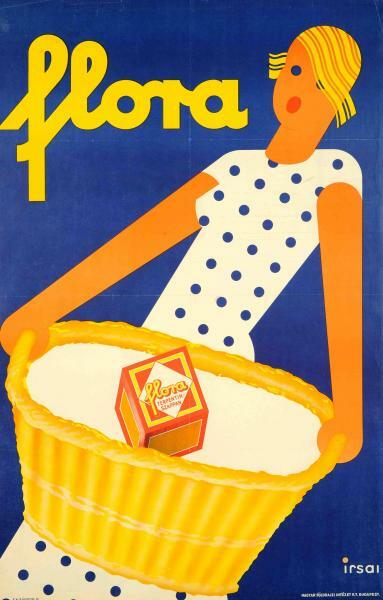 From the mid-1920s a completely new style appeared in posters in Budapest. The dream-world of Art Nouveau disappeared, the funny narrative posters, till then the favourites of the audience, fell into oblivion. The air of modernity prevailed, and publicity focused on products and services that were the results of the development of technology and civilization in the 20th century, and served the comforts of modern city life. 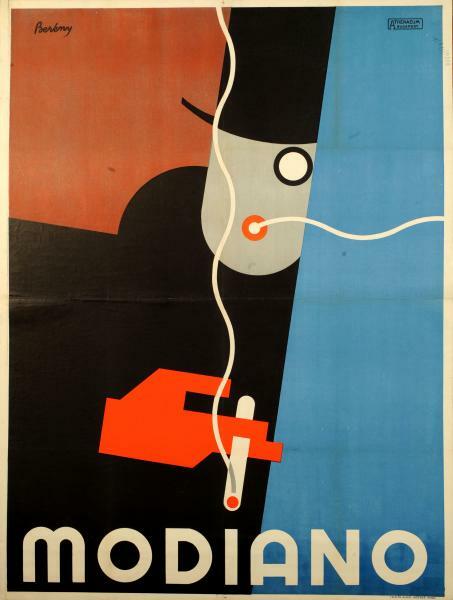 The electric bulb, the radio, the radio valve, several electricity-powered or gas-operated appliances, tires, canned food and fountain pens all appeared in the posters. The advertising of old articles – such as products of the tobacco industry, fashion articles, food, periodicals – was also adapted to the new form of advertising called to life by the need of adequate presentation of the new products. What was this new form of expression of graphic design like and who was it created by? Lajos Kassák, Sándor Bortnyik and Róbert Berény, all leading figures of the avant-garde movement in Hungary in the early 20th century, who were forced into emigration in 1919–1920 due to their progressive political commitment, played an important part in the renewal of Hungarian commercial graphics. They continued their artistic experiments in Vienna and in Berlin, and obtained thorough knowledge of the international trends. 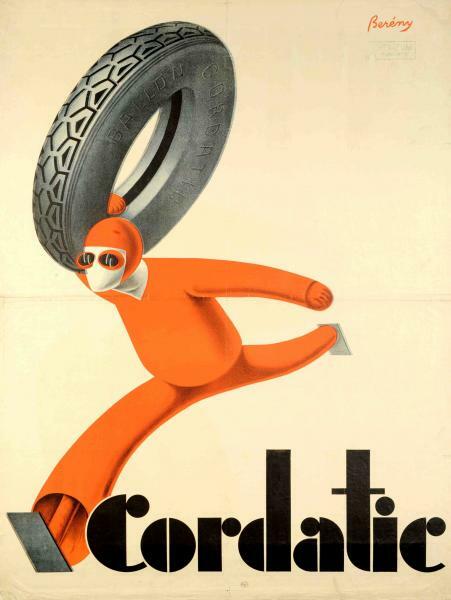 The work of Kassák and Bortnyik became part of the international constructivist movement. Bortnyik had a chance to know very closely the activity of the famous workshop of new art, architecture and design: the Weimar Bauhaus. The Hungarians working there, László Moholy-Nagy and Farkas Molnár, played an important role among others in the formation of the graphic image of the Bauhaus, too. Kassák, Bortnyik and Molnár returned to Budapest in the mid-1920s; they applied the aesthetic principles of constructivism and the functionalist view in their practical work as designers and strived to spread them in their publications. In 1930, the first exhibition of the Society of Hungarian Book and Advertisement Artists [Magyar Könyv és Reklámművészek Társasága] was organized in the Budapest Museum of Applied Arts; Bortnyik, Kassák, Moholy-Nagy and Molnár were among the participants. The influence their work had exerted on the whole field of Hungarian graphic design, posters, typography, commercial photography and book art was already clearly visible in that show. The new graphic design turns the attention of the recipient deliberately towards the message of the commercial posters, making use of optical rules. It does not relate a story, does not show details, but while making use of the aesthetic potentials of abstract art, it relies on elementary effects, simple colour patches and sharp contours. The revolutionarily new technique of the photomontage proved to be very useful in posters. Letters too are the results of conscious geometric construction and regarding the composition they become equals of forms and figures. The uniformity of the lines is broken, the letters are usually diagonally arranged, and – just like the other elements of the picture – are characterized by playful alternation of positive and negative surfaces. Everything serves the dynamic effect. But this extraordinary consciousness and practicability does not exclude jocundity, humour and the joie de vivre – without them the Budapest audience would not have accepted the bold new posters anyhow. In the 1930s the art of the poster was enriched with new, emotional, associative and metaphoric elements and the number of picturesque and plastic solutions was also growing. But the generous simplicity facilitating quick reception and the appropriate picturesque idea imprinting the mind of the viewer remained unchanged. Organized in cooperation with the National Széchényi Library. Disabled access from the side of the building, on Hőgyes Endre street.